Winter or summer, we are always happy to be back at one our favorite venues, Mt. Abram. Join us on Saturday, March 9th for the Mt. 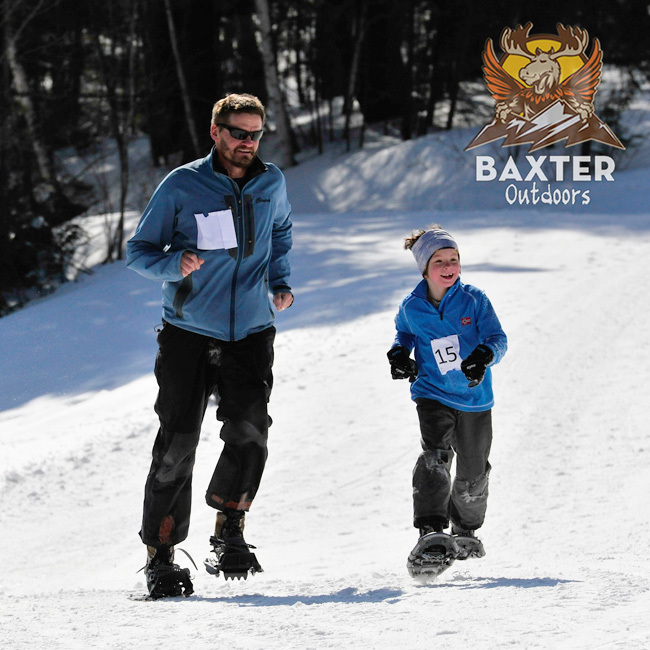 Abram Lumberjack Snowshoe 5km and SkiMo Classic. Those who dare, may grab a log and run with it for the duration of the race. Racers may not carry the log in a backpack. They must carry it in their arms. Upon completion racers who have carried a log will be awarded 2 mins/mile off their time, so 6 minutes total if carried for the 5km. Racers will have the option to drop the log at the halfway point and still retain the 2 min/mile time subtraction up to that point. Of course, racers are also free to bypass the log and run the 5km without the extra weight, but keep in mind those finishing behind you may have a significant deduction to their time. This is a race of strategy and grit. Which lumberjack will prevail!?!? There will be two fun skimo options this year: a single lap and a 3-lap option. 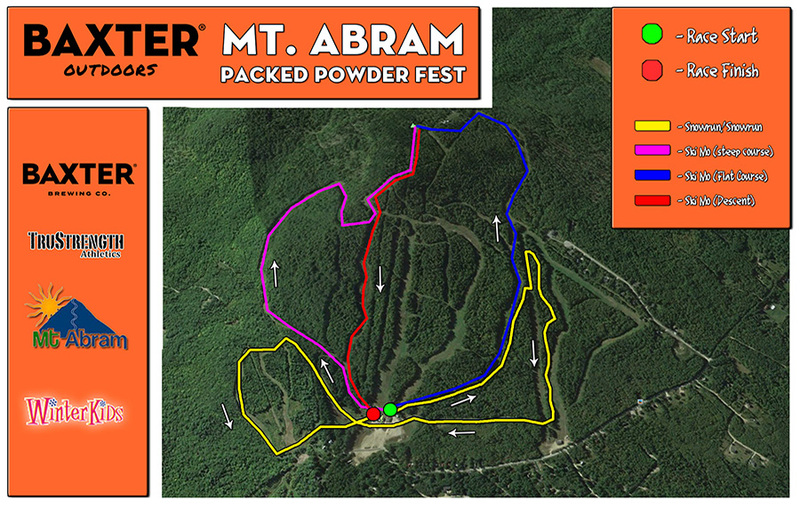 For the 1-lap option, racers will choose between a longer, flatter route or a shorter route that includes a short woods boot pack (see map link). It will be up to racers to strategize which loop will make them faster! All racers have the same summit transition area and descend the same route. 3-lap racers will all start on the longer route, then complete lap two on the shorter route, and whomever is in the lead going into lap 3 will choose which lap to do for the 3rd. All consecutive racers will be forced to alternate direction of lap 3.
ex. If racer 1 selects the shorter lap, racer 2 must ascend the longer lap, racer 3 must do the shorter lap, etc. All racers who plan to use the shorter loop with the bootpack must have a pack or means of attaching skis to their body. . Stick around after your race for a post-race Baxter Beer in the Loose Boots Lounge. **Please show up no later than :30 mins prior to your race start time. This course is designed for intermediate and expert atheletes alike. All courses include significant vertical in easy to follow groomed routes. Those looking for a podium finish will be challenged by this course's elevation change.